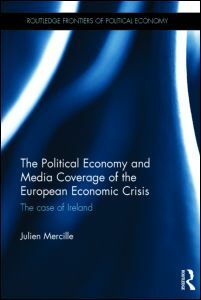 Julien Mercille has recently published his book on the media treatment of the Irish economic crisis (a short review can be found here). 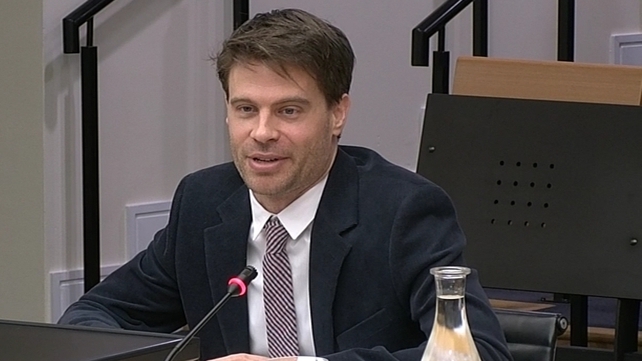 His research has exposed much of the biases in the coverage of economics and political policy in the Irish media sphere including the overarching neo-liberal ideology that has acted to support elite classes throughout the crisis. Julien has kindly agreed to answer some brief questions on his research for critical media review. Can you briefly explain the nature of your research? I seek to understand the role of the media in Ireland and elsewhere in covering current affairs, in particular, the ongoing economic crisis. Specifically, I study the nature of media coverage and the reasons why certain topics get covered and others not, and why certain ideas are prominent and others less so. There are many ways that have been used to understand the media, but in my opinion, political economy is the most important one. I found that during the economic crisis, the ideas and viewpoints presented by the media closely reflected those of economic and political elites. This is because of the corporate nature of the Irish media (and mainstream media in general). The media are entities owned by corporate interests and so the viewpoints they present reflect those interests. There are always exceptions, of course, but by and large that’s an accurate description of the coverage we have seen over the last few years, during the housing bubble, bank guarantee, EU-IMF bailout, austerity, etc. 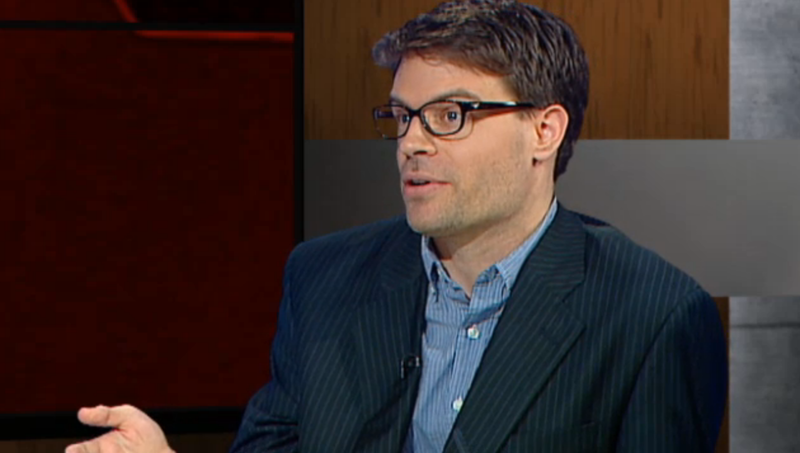 Has Irish journalism failed in its so called ‘watchdog’ role? Yes it has, for reasons seen above. There is of course a lot of criticism of government policy in the Irish media, but this criticism is overwhelmingly minor or tactical, in that it doesn’t often challenge the main principles of policy. For example, the media has been overwhelmingly in favour of austerity, and the debate in the national media became how best to implement it, as opposed to saying what should have been said, that it does not work to revive economies in a downturn. Where do you place the Irish media system in terms of structure, do you see it as a point of democratic communication between politics, business and citizens (however imperfect), as an ideological apparatus, that is serving the interests of its owners and their wider class interests, or something else? Yes, to some extent. A lot of the media is owned by Independent News and Media, for example. But an issue that’s probably more important to me is the nature of media entities. As of now, they’re all corporate or state-owned with significant commercial interests (RTE), so even if you had more of those, it would be better, but not that much. What’s missing is a diverse media in the sense of more alternative, strong media outlets. That would provide significantly more diverse coverage, alternative viewpoints, etc. What about RTE, has the public media been any better at covering the crisis? No, it’s the same thing. It’s owned by the government, so it’s no surprise that it reflects government views. For example, during the housing bubble years, RTE’s Prime Time show, the leading current affairs programme, ran about 700 shows. Only 1% of its shows addressed the housing bubble, let along criticizing it. Do you see any room or agency for progressives working in the Irish media sphere? Yes, there are many actually, but there number will be limited as long as the structure of the media landscape remains as it is. Vincent Browne, Gene Kerrigan, Colette Browne, Fintan O’Toole and others give good progressive viewpoints. If the media is so heavily biased towards neo-liberal economic policy can it play any progressive role in Irish society and democracy? It plays a role as it is now, but it could play a much more meaningful role if it was restructured along the lines mentioned above, i.e. by encouraging alternative media outlets that reflect to a greater extent the interests of the population as a whole. Do new online media channels offer any hope for you? I don’t think online media improves or worsens the potential for better news, it’s just another medium. There are a lot of good websites and blogs obviously, but there are also a lot of mainstream news websites that actually dominate the internet. On one hand I’d say try to present your message in a way that’s “respectable” so as not to worsen an already difficult situation in reaching out to the media and getting covered. On the other hand I’d say that it’s not good to change your message and actions too much just so that the media will be more likely to give you coverage, it’s better to do what you think is best for whatever project you have, and not think too much about “convincing” the media to give you coverage, otherwise it can often lead to hitting walls and waste of time and going in the wrong direction. So a balance has to be struck and that depends on context and the specific case at hand. What’s next for Julien Mercille? I’m now writing a book on the Irish economy post-crash, which should be out in mid-2015. It will pick up some of the themes found in the media book but focus on political economy and power in Ireland. It will conceptualize Ireland as a neoliberal state and will show that for a variety of topics, such as the health care system, natural resources, welfare, taxation, austerity, etc.